Replies: 41 (Who? ), Viewed: 15340 times. | You are currently not a member of this group. Would you like to join it now? 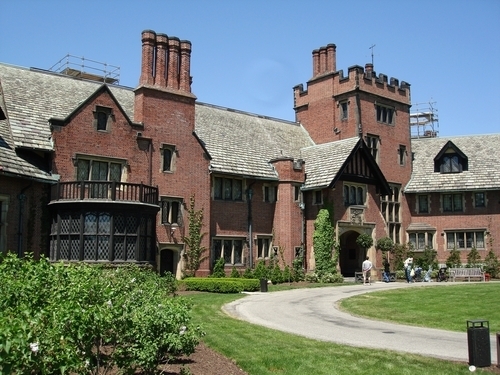 What historical house/ residence is your favorite and why? 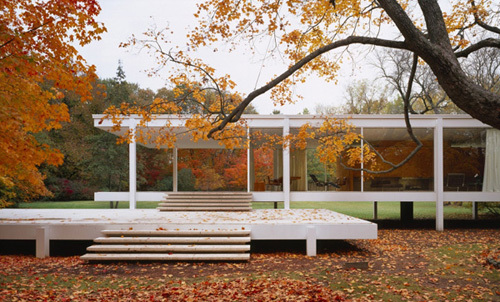 Yeah Farnsworth house and Falling water are futuristic for their time. 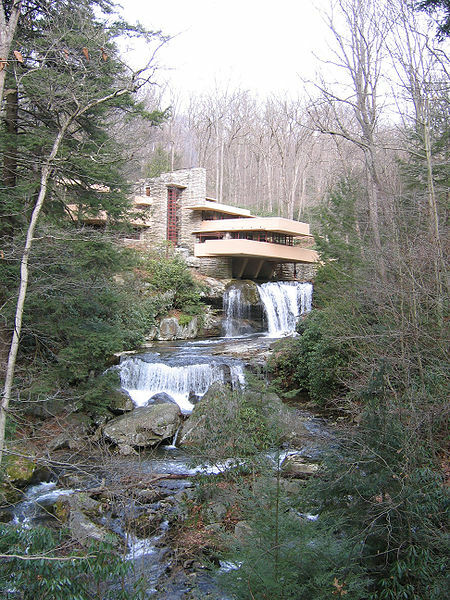 I mean, Falling water was buitl in the 30's and still looks modern with a big nature touch. I definately love Villa Savoye, that is why I have set it as a picture of the group. I also like Wright's first studio. 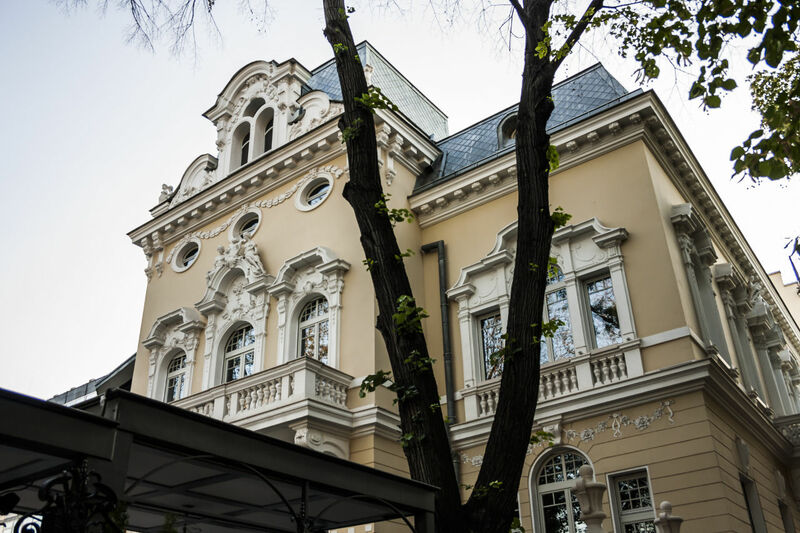 About the favourite house - this is the Yablanski house in Sofia, it's a kind of a local architectural landmark and one of the most beautiful mansions in Bulgaria. It is in the style of neobaroque. It is really hard to choose only one because I love historical architecture with a fiery passion. 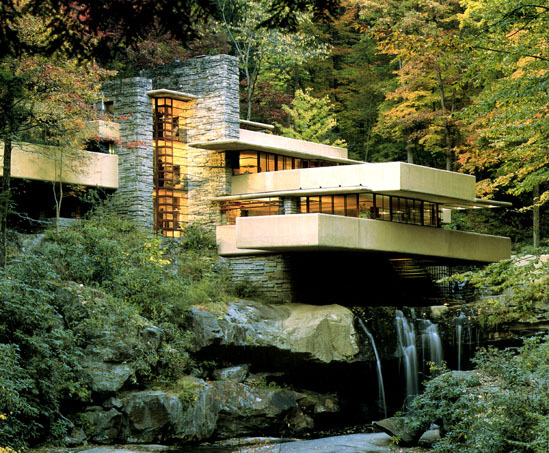 I'm also a Frank Lloyd Wright fan my Favorites are the Johnson Wax Building, and the Guggenheim. The Guggenheim was the most tranquil building I've ever stepped foot in, I could just stand at the top of the ramp looking down forever. 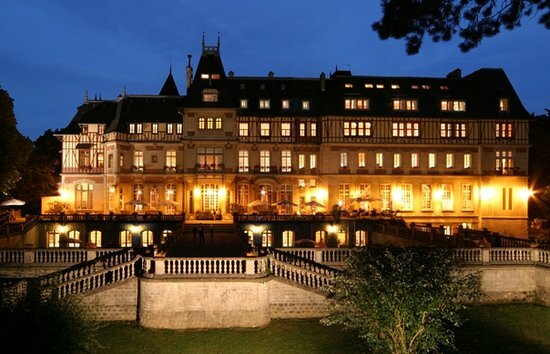 I guess I will go with Chateau de Montvillargenne. I love it because it is still in use (as a hotel.) I hate when wonderful homes get converted into museums, (or worse, fall into disrepair) it removes all the life from them. It still has it's original grounds (always such a shame when the grounds get sold off of estates, but understandable why it happens.) and it's outside of Paris. #10 28th Aug 2014 at 1:13 AM Last edited by ScaryRob : 23rd Nov 2014 at 4:59 AM. I like the other three concrete block houses in LA as well. 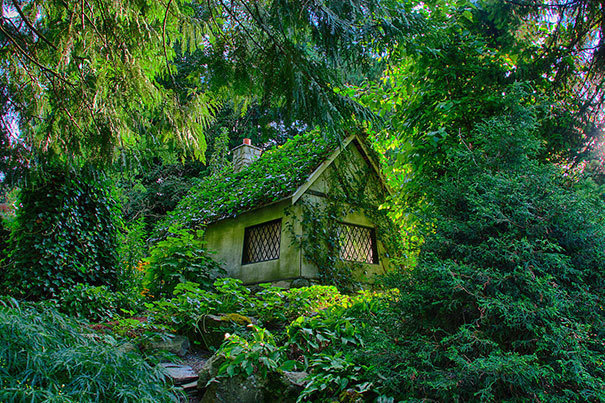 This American Four Square style dwelling was built in 1907 by Lachlin McTaggart, a builder, painter and investor who was also in the furniture and undertaking businesses. The house features beveled cedar siding, a hipped roof with shed dormer and decorative exposed rafters beneath the eaves. The house was restored to its original condition in the early 1980s; more than 100 people in the community returned items originally in the house to assist the owners with the restoration effort. It's not terribly exotic or designed by a famous architect, it's not even worth that much; it's realestate listing was how I came across it online, but I can't help but feel affection for it. It's the kind of everyday Americana that can be found all across the USA especially in the PNW. And for me, that idea combined with its uncommon design make it a gem of the architecture world. ...and beavers if you're lucky. Moose would be a particular bonus. In any case, the place sure is lovely! No idea where it is, but I like it. #18 11th Sep 2015 at 7:10 PM Last edited by Fergus' Mind : 11th Sep 2015 at 8:44 PM. #19 11th Sep 2015 at 7:55 PM Last edited by Fergus' Mind : 11th Sep 2015 at 8:05 PM. If it's any constellation, without the columns it looks to be an early Georgian/late Restoration era (Queen Anne, William and Mary). The pitch/shape of the roof lends and proportions of the fa�ade lends it quite well to being a Queen Anne or William and Mary era/style home. But not being an expert on the styles of columns, I couldn't tell you what era they date from, but I get the feeling that they're probably not original. I can tell you that the colour of brickwork is more common in the midland and northern counties of England, possibly home counties at a push. If it was in the central or southern counties it'd most likely have terracotta roof tiles. Having seen it now, I'd also like to know where it is and a little of its history. Wow! I love all of the American Romanesque details on its facade. Absolutely stunning! 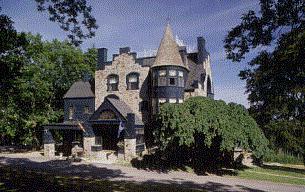 Norumbega Castle, was built in 1886 by Joseph Stearns who was the inventor of the duplex telegraphy system. In order to to get design ideas for the castle, he spent a year visiting many of the castles of Europe. 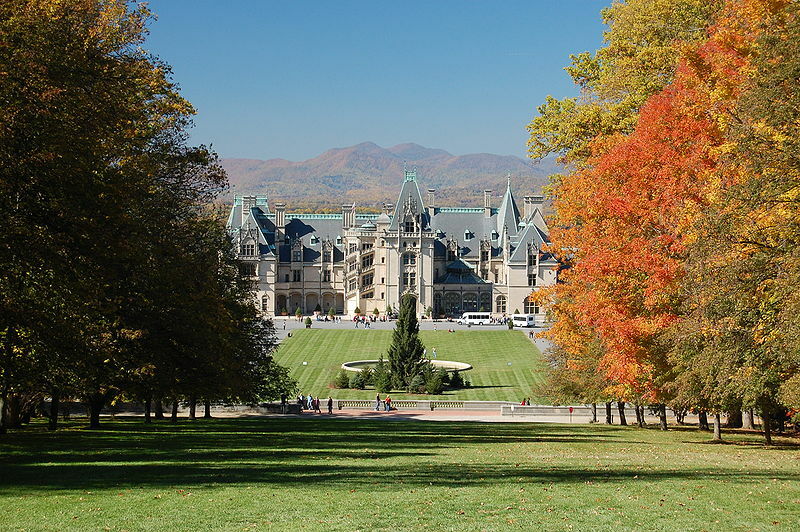 He then took favorite features of each castle and incorporated them into the design for Norumbega. Stearns and his family lived in Norumbega until his death on July 4, 1895. Over the years, Norumbega has had several owners, among them former State Department official Hodding Carter III. In 1987, Mark Boland converted the castle into a bed and breakfast which today is owned by Murray Keatinge. I've seen that place before, it was for sale a while back, it had quite a nice interior too, which you can see part of here. 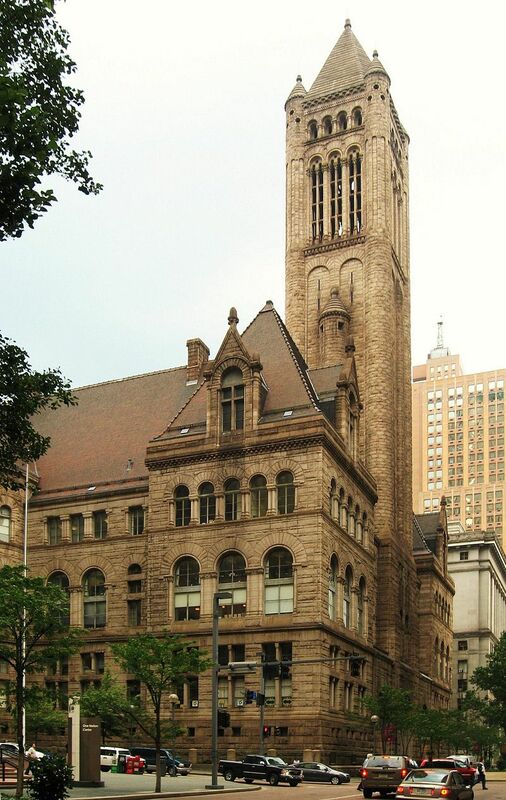 Another one is the Henry Clay Frick Mansion "Clayton" here in Pittsburgh! 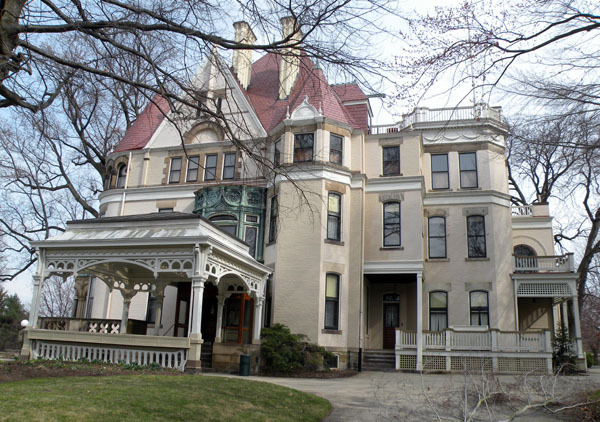 Its a beautiful Queen Anne Victorian! In which I have been too quite a while ago when I was in school! Stunning - thanks for the link.